Built in 1995, Blount Hall serves as a residence hall for upperclass students (i.e. sophomores, juniors, or seniors). 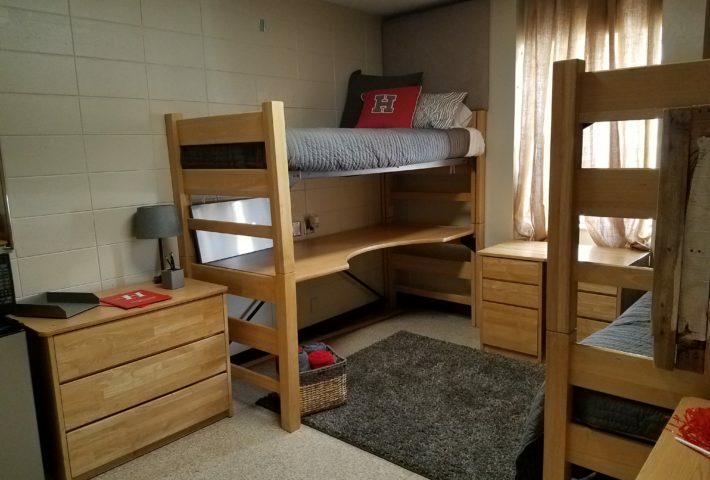 The facility was built to offer a more independent living environment, with rooms containing bathrooms, a small kitchenette, and, in the case of suites or clusters, a living room area. 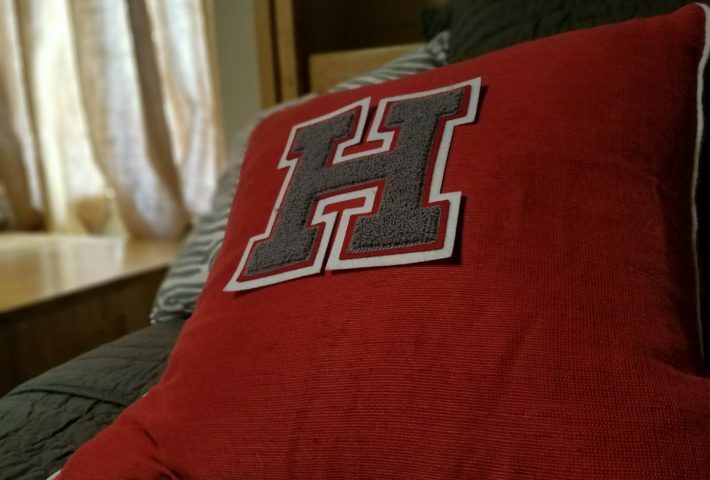 All Huntingdon residence halls are wired for telephone and cable and are Internet accessible. Single rooms may be requested, but availability is limited and subject to housing demands. 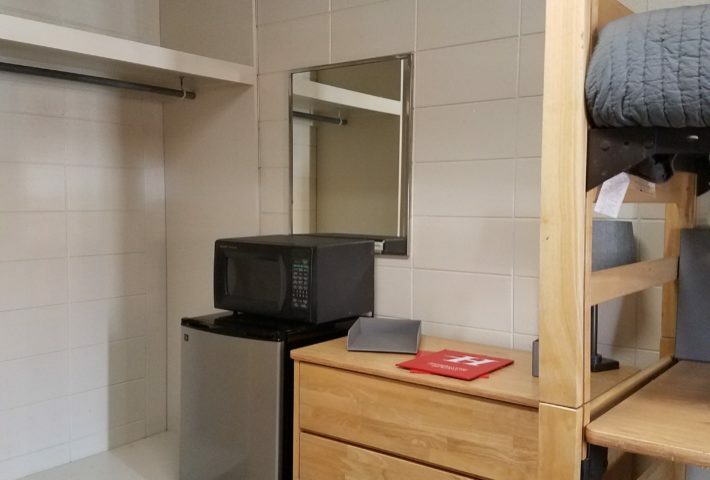 Blount “hotels” are furnished with two beds, two desks, two dressers, full bath, small storage closet, and a kitchen area with a microwave/fridge. There are two small bedroom closets in hotels. 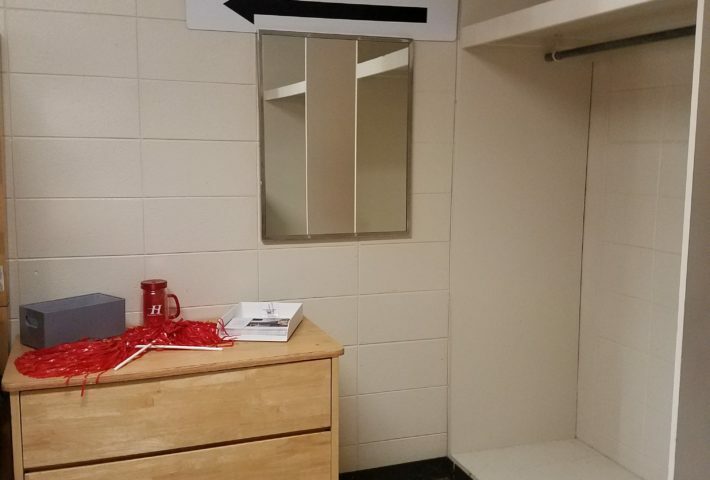 The closets do not have doors, so some students prefer to make curtains to cover the closet opening. There are two bedrooms in each suite, along with a storage closet and a living room area. The bedrooms of the Blount suites are furnished the same as the hotel-style rooms, including two small closets in each bedroom. In addition, the living room area is furnished with a table and a sofa. The kitchenette contains a microwave/fridge, sink, and cupboards. Residents may bring additional small (single-person) refrigerators. 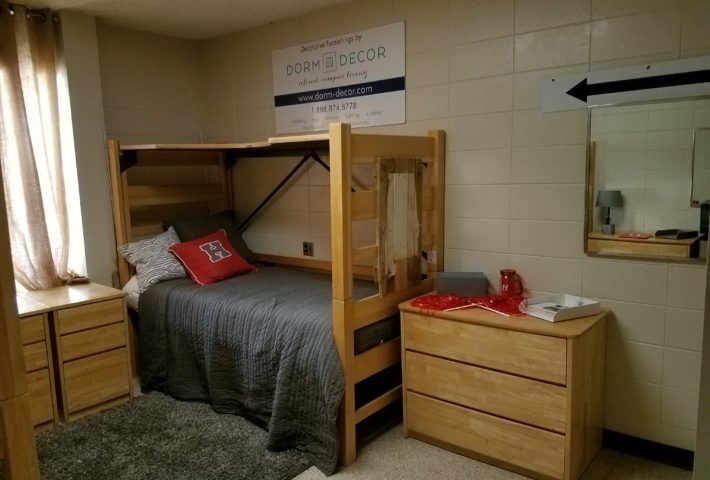 There are three bedrooms in each cluster, along with a storage closet, a living room area, and a kitchenette. The bedrooms of the Blount clusters are furnished the same as the hotel-style rooms, including two small closets in each bedroom. In addition, the living area is furnished with a table and a sofa. The kitchenette contains a microwave/fridge, sink, and cupboards. Residents may bring additional small (single-person) refrigerators.